Why put the TTP on the U.S. list of terrorist organizations? With the investigation into the plot continuing to pile up, both in the United States and in Pakistan, allegations of TTP involvement have forced the White House to possibly register Hakimullah Mehsud & Company as a dangerous organization with international dimensions. This, of course, is with good reason; with the organization growing stronger, and with North Waziristan serving as its base of operations, the TTP problem is not going to go away anytime soon. But what would actually happen if the TTP is placed on America’s terrorist watch list? Would the capabilities of the Pakistani Taliban be hindered in any meaningful way, or would this simply be an effort by the United States to show the American public and its Pakistani partner that it intends to do something about the problem? Granted, history has demonstrated that terrorist organizations are weakened in both power and influence when susceptible to constant legal danger from the United States. Generally, placing a terrorist group under the U.S. radar allows Washington to charge anyone in the world (whether American or not) with terrorism related crimes if they are suspected of providing material or financial support to the group’s operations. Perhaps more importantly, the U.S. Treasury Department would have the legal jurisdiction to freeze the groups’ funds if accounts are discovered in American banks. In theory, freezing funds would make it harder for a terrorist organization to withdraw cash when the rolls are running low, thus making it exceedingly difficult to carry out large-scale and sophisticated operations against the United States and its allies. But even with history on its side, there remains a question about whether the Pakistani Taliban would follow precedent. Putting the TTP on America’s terrorist registrar is certainly warranted; the group has killed more than 4,000 Pakistani civilians, soldiers, and police since its creation in 2007. And Pakistani Taliban militants have been known to strike at American targets when the opportunity presents itself. Last June, the U.S. Consulate in Peshawar, Pakistan was ambushed by a TTP-led suicide attack. Yet even with blood on its hands, it remains unclear what Washington hopes to accomplish by monitoring and “promoting” the Tehrik i-Taliban Pakistan as an official designated terrorist organization. If American intelligence officials are doing this to up-the-ante and put more pressure on the group, this move won’t have that much of an effect. To date, there are no TTP bank accounts in the United States, so the prospect of freezing the group’s funding seems nonexistent. And as for arresting and charging suspected Taliban recruits, well, U.S. authorities are already doing that. So what on earth could be the rationale for meshing the Pakistani Taliban with Al’Qaeda, Jaish e-Mohammad, Hamas, and Hezbollah? The power of symbolism may have something to do with it. By officially recognizing and describing the Pakistani Taliban for what it is—a dangerous and deadly entity in the international system—Washington is giving the Pakistani Government a much needed morale booster as it fights its domestic insurgency. 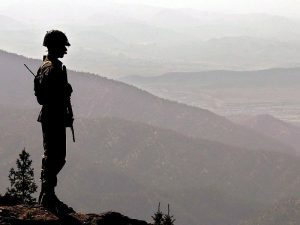 And it couldn’t come at a better time; Pakistani soldiers are losing their lives each week, just as they attempt to consolidate recent military gains against militants in the tribal agencies. Of course, Washington has always been supportive of Pakistan’s fight against Islamic militants in the country’s “wild west,” and in many instances, has contributed to the fight by bombing militant strongholds on a daily basis. But aiding the Pakistanis in an informal capacity is not the same as officially putting Pakistan’s greatest domestic enemy on U.S. notice. For the first time, the U.S. and Pakistani Governments are on the same page when it comes to anti-Taliban operations in the tribal regions. The question now is whether action against the group can follow the rhetoric. Daniel R. DePetris is a graduate candidate at the Maxwell School of Syracuse University. His article, "A New Diplomatic Relationship," was recently published by the Northwestern Journal of International Affairs. He concentrates on terrorism and international security issues.